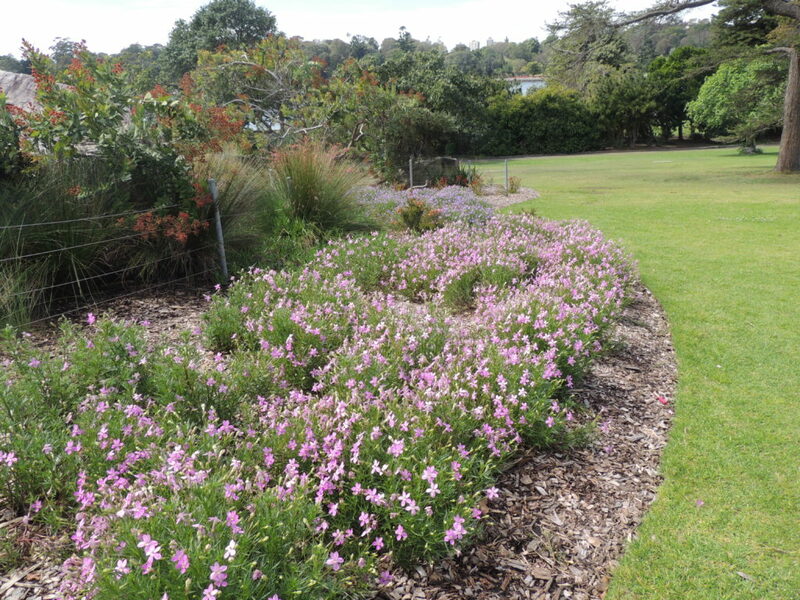 Along with the Opera House, the Harbour Bridge and Mrs Macquarie’s Chair, the Royal Sydney Botanical Garden is a jewel in the tiara that forms the city of Sydney’s foreshore. Glimpses of the city buildings in one direction and the harbour in the other create a perfect setting for a floral visit. On a hot day a zephyr brings with it coolness and the sounds of a busy harbourside city. 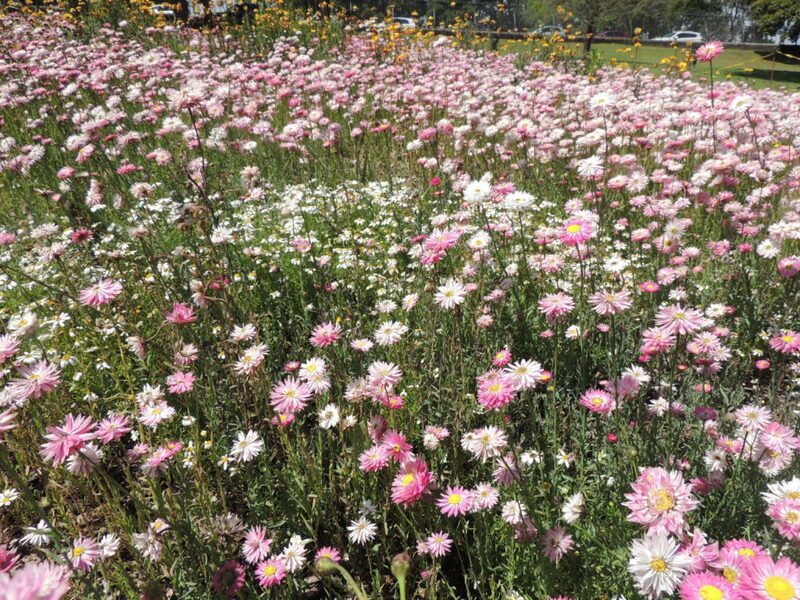 Mr MG and I paid a visit to the gardens last October and found a great deal to enjoy. It would make an extremely long post to show everything, so here is a selection of the parts of the garden we enjoyed the most. 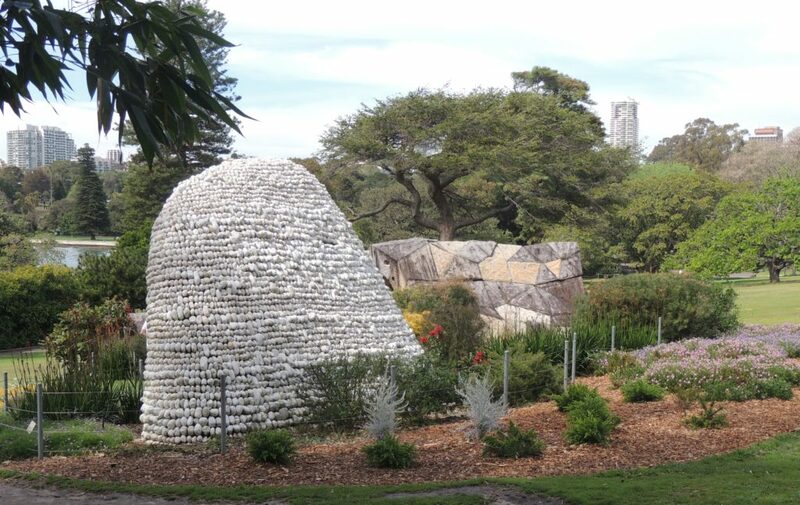 The Wurrungwuri sculpture, a giant sandstone waveform representing the geological history was surrounded with Australian native plantings. 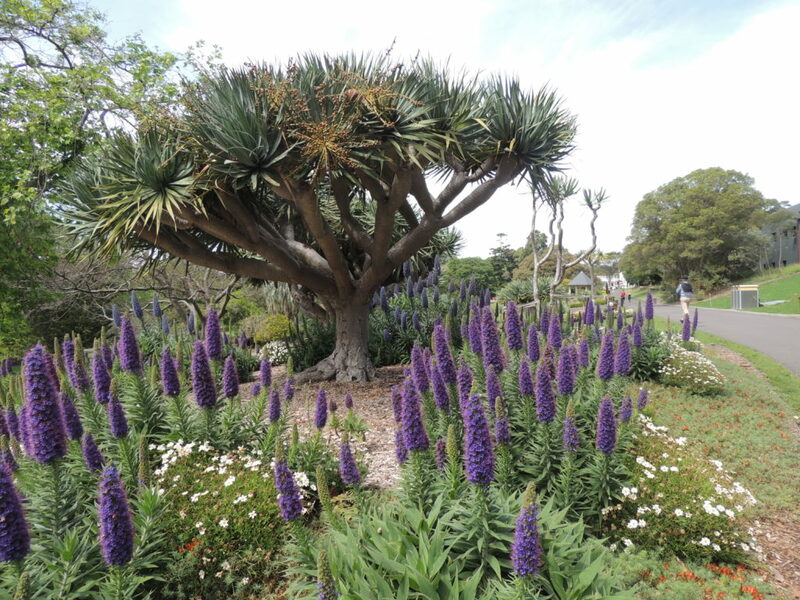 On the dragon tree lawn Dracena draco and Echium candicans from the Canary islands competed for attention, the Echium spikes providing a magnet for thousands of bees. 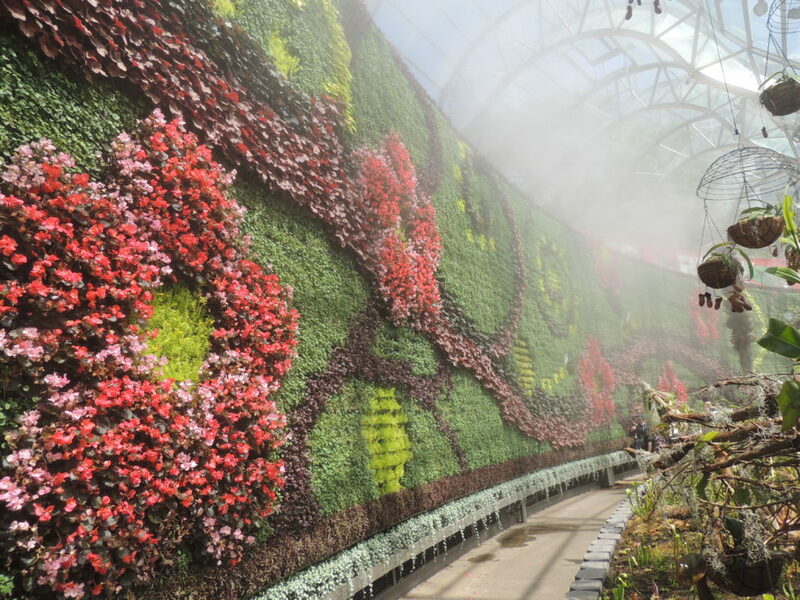 A green wall in the exhibition area called ‘The Calyx’ dominated a display of insect eating plants, all of it kept moist and humid with a spray mist. 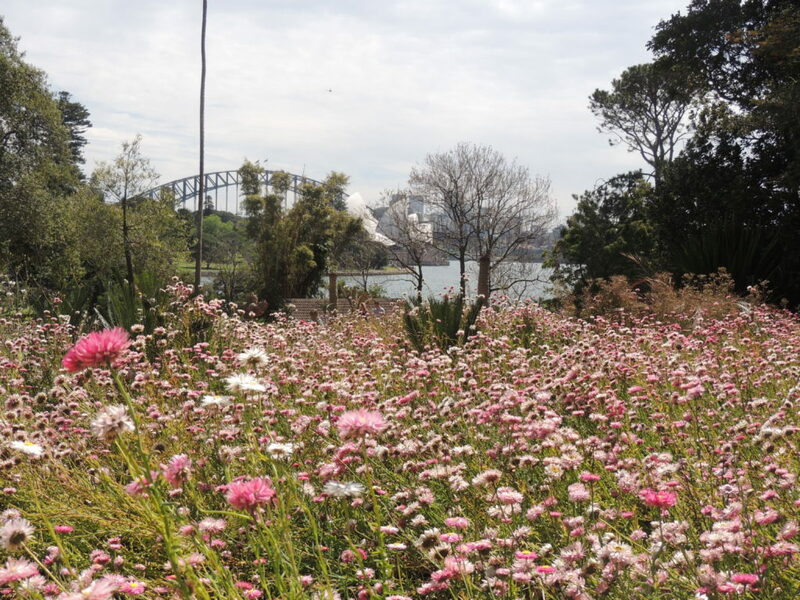 A wildflower meadow of everlasting daises (Rodanthe chlorocephala) and young Boab trees (Adansonia gregorii) with tantalising glimpses of the Harbour Bridge received much admiration from us and provided a swathe of pink and yellow flowers. 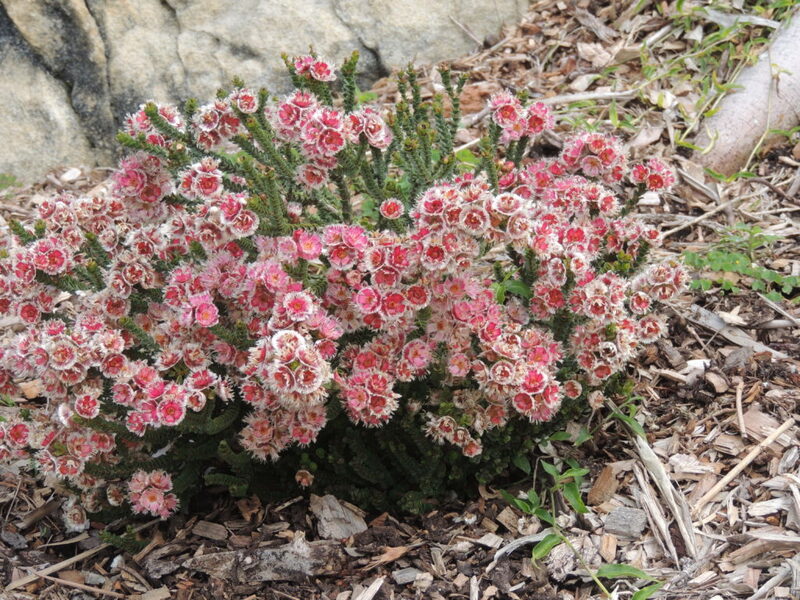 For me, however, the Australian Rockery contained the biggest range of delights in many colours. 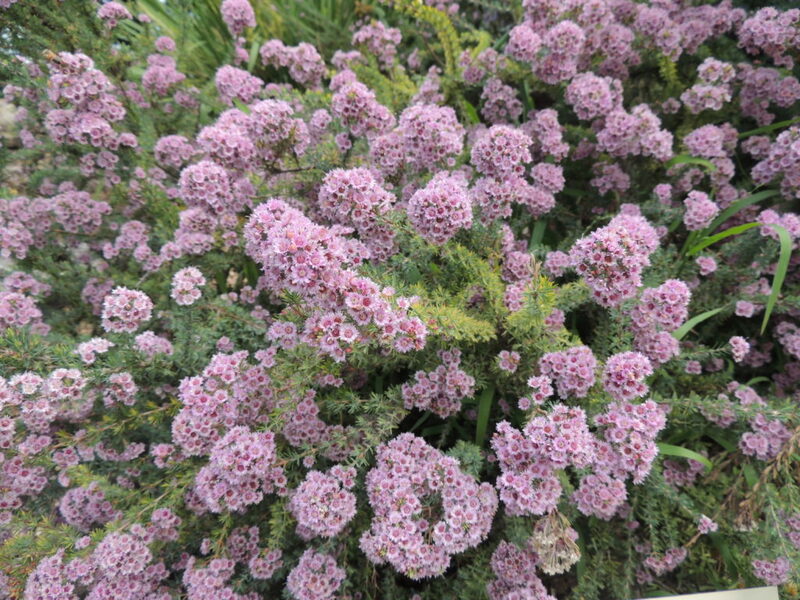 Unfortunately it was difficult to find plant names, so many of these gems are unidentified, but that doesn’t alter my appreciation of them. Perhaps some identification will come from other bloggers – please feel free to comment. We spent a delightful morning wandering the gardens and there’s a lot more I could include, of course. Perhaps in another post I’ll cover the venerable trees, the original farm planted by the first settlers and the Wollemi Pine, a prehistoric tree discovered in a secret valley in NSW in 1994. On another matter, I apologise to my readers that anyone commenting on my posts had to go through the tedious process of adding a name and email address. I’ve only recently discovered that this was the case, and I hope I’ve remedied it. What an absolute treat for you, Jane. It must have felt like heaven. The green wall is amazing, as is everything else. I’m just a little sad though to see that magnificent eremophila, because it reminds me that the two little plants that I nursed through winter and planted out in November are just about dead. PS. still had to enter my email. I’m very sorry about your Eremophilas Tracy. You mentioned that they struggling, but I hope that with slightly cooler weather, they might pull through. Fingers crossed. I don’t know what to do about the comment section: I thought I’d fixed it, so it’s very annoying. 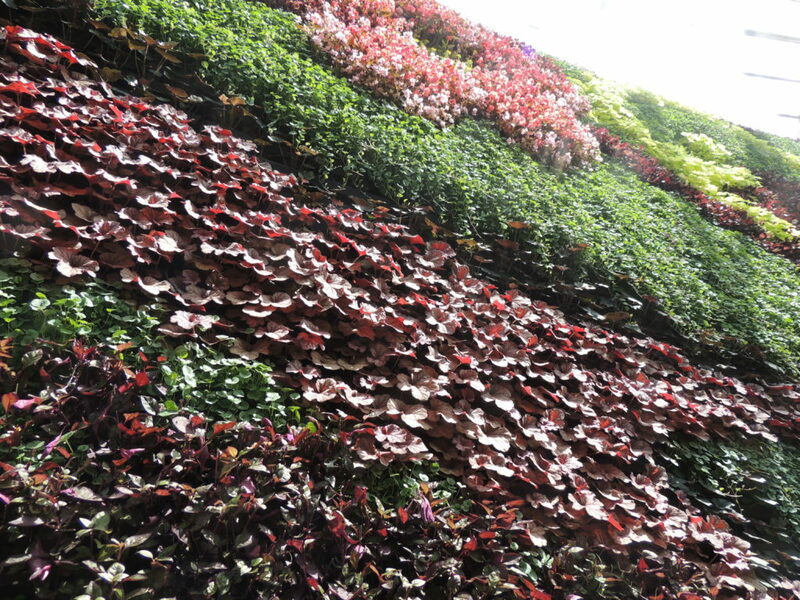 the green wall is stunning! Thank you, PiP. The wall is changed along with the seasons, so it would be interesting to see what is there now. Yes, one of Sydney’s many pleasures. It has been many years since we last went there. 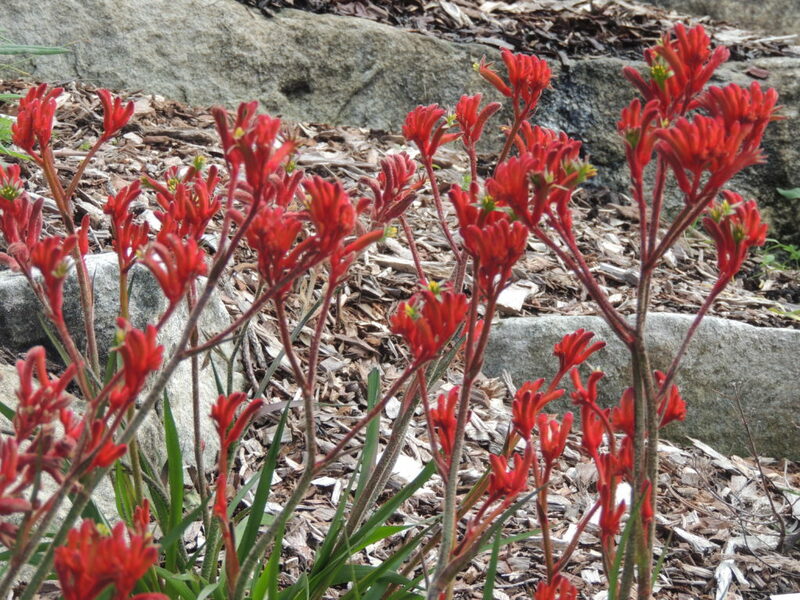 Your post wants us to re-visit the gardens again but will wait till autumn. 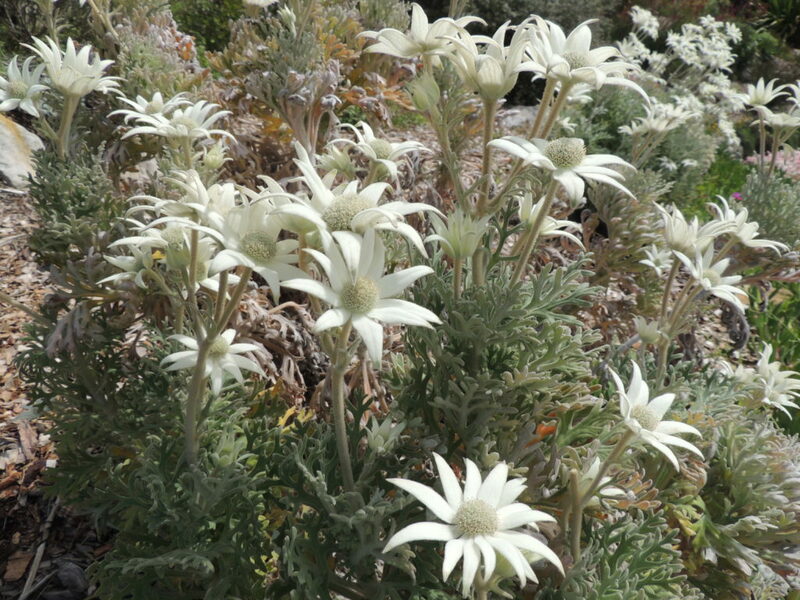 Love the flannel flowers. The Flannel flowers were particularly healthy and handsome, Gerard. 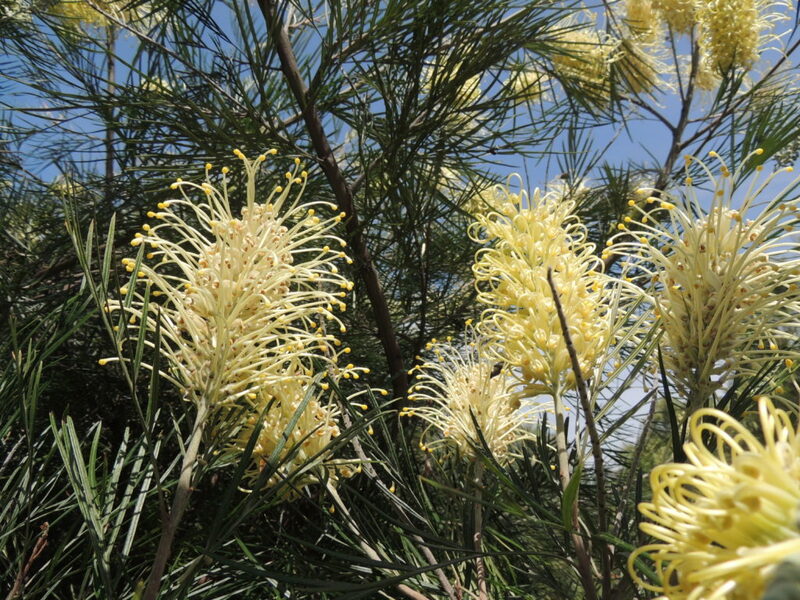 Autumn would be a good time to visit the gardens: it’s just been too hot to think about recently. Thank you. 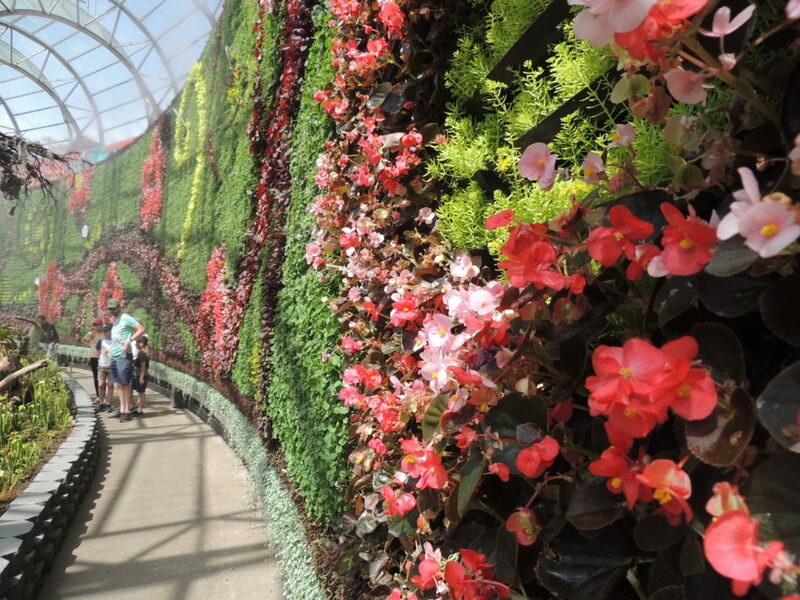 It would have been rather special to see a wall of orchids! Oh, I realise your comment happened twice Pauline, once anonymously. How odd. Perhaps it was something I did when trying to change the format. What beautiful photos. A sight for sore eyes! Thanks, Cindy. I guess it would be a change from seeing snow! 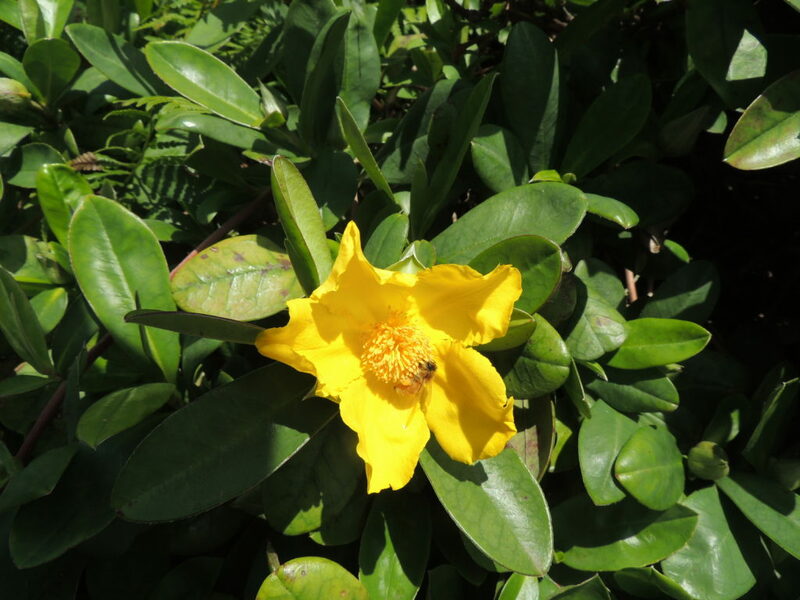 There must be signs of Spring over your way by now. 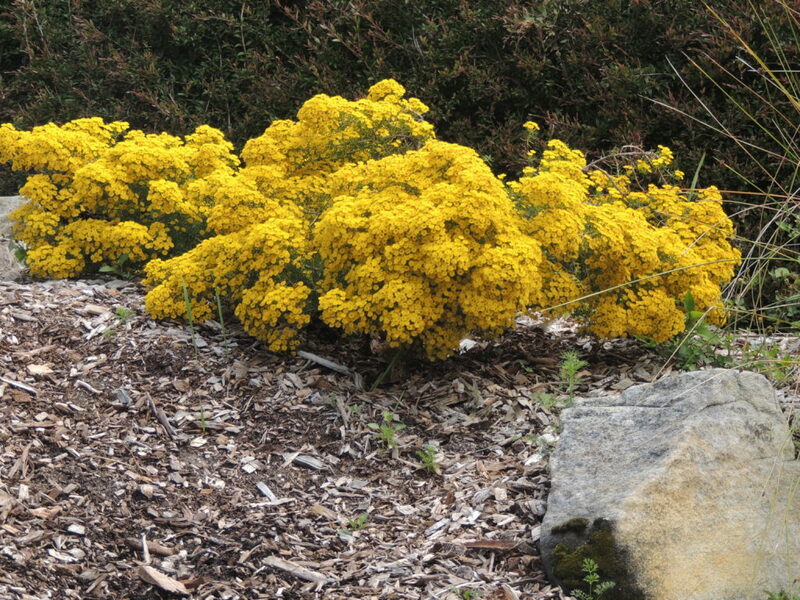 It seems quite a few Northern Hemisphere bloggers have visited and enjoyed these gardens, Derrick. 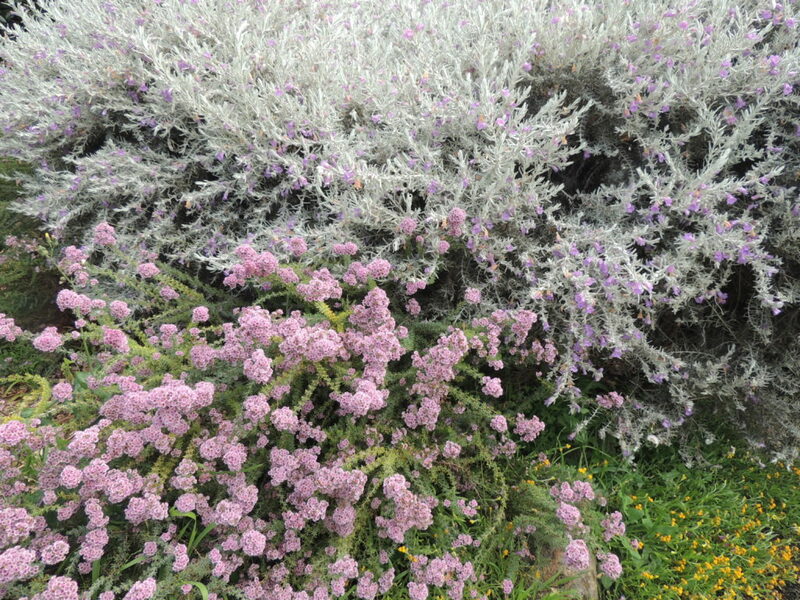 How I’d love to visit this garden in person, Jane. Thank you for offering the next best thing with this virtual tour. 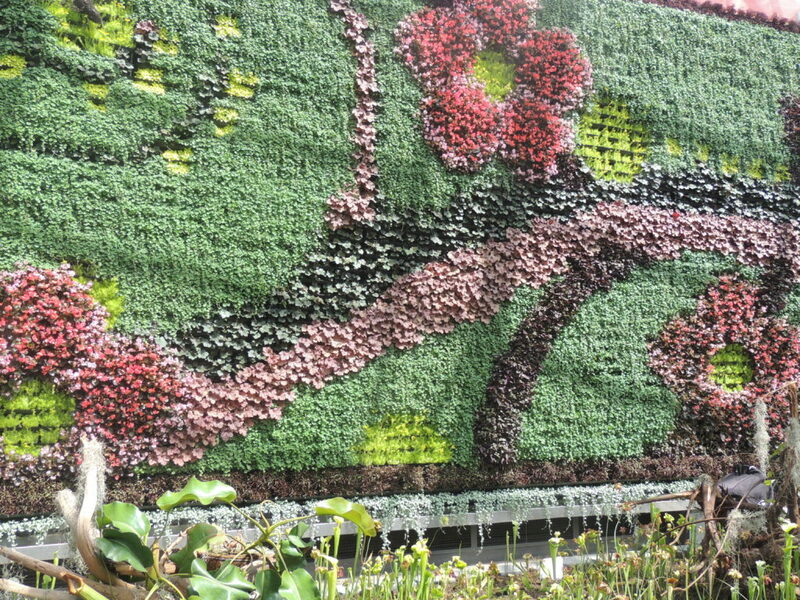 The green wall is much more impressive than the one created by my own local botanic garden. 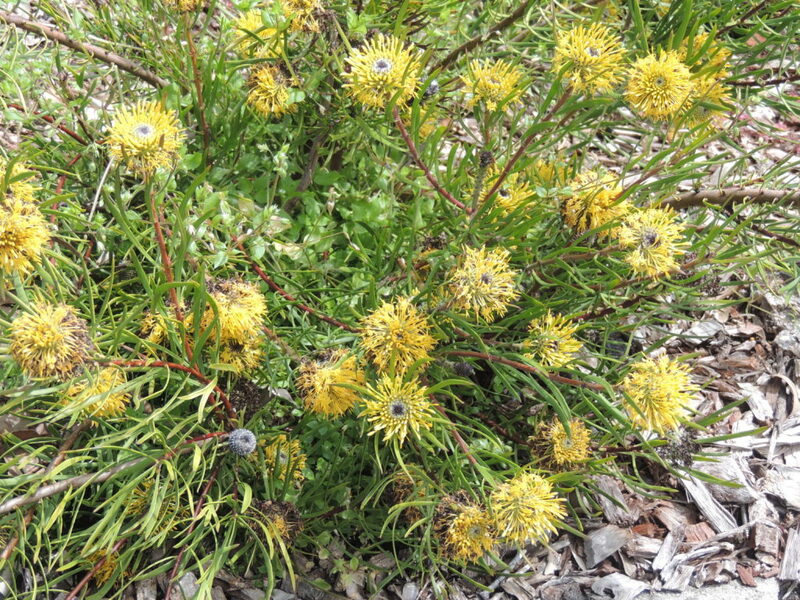 I planted that same species of Isopogon in my garden this past fall and can only hope it’ll look as good as the one in your photo someday – so far, it’s produced just one flower, which didn’t look much like either the photo on the tag or your photo. I’m so glad you enjoyed the tour, Kris. 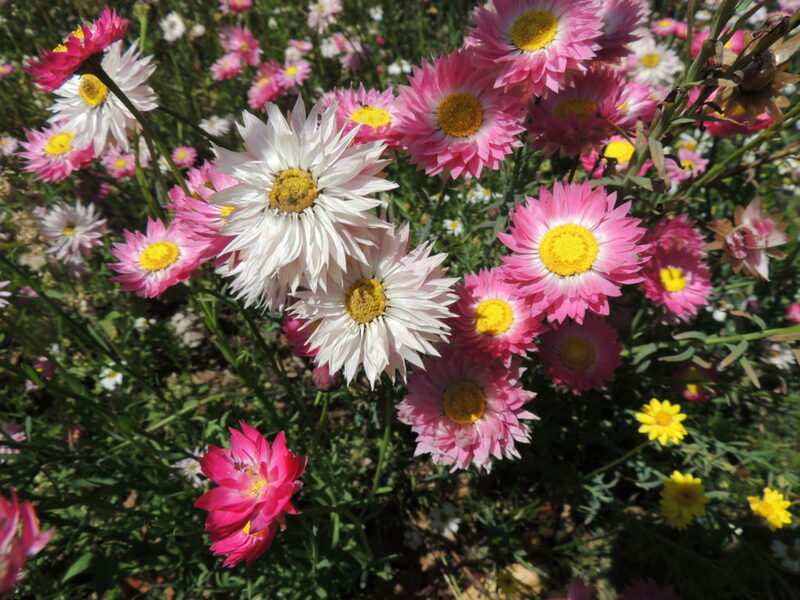 I had an Isopogon in my previous garden, but it had pink flowers. 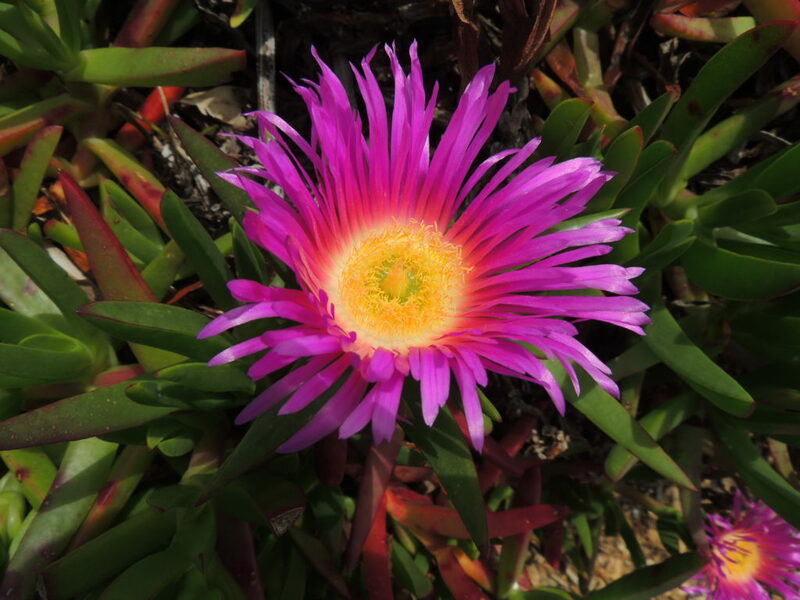 I have to confess that I identified this one via Mr Google, so I might not be correct-it was a bit difficult to get an exact match. Beautiful garden, thank you for this tour! 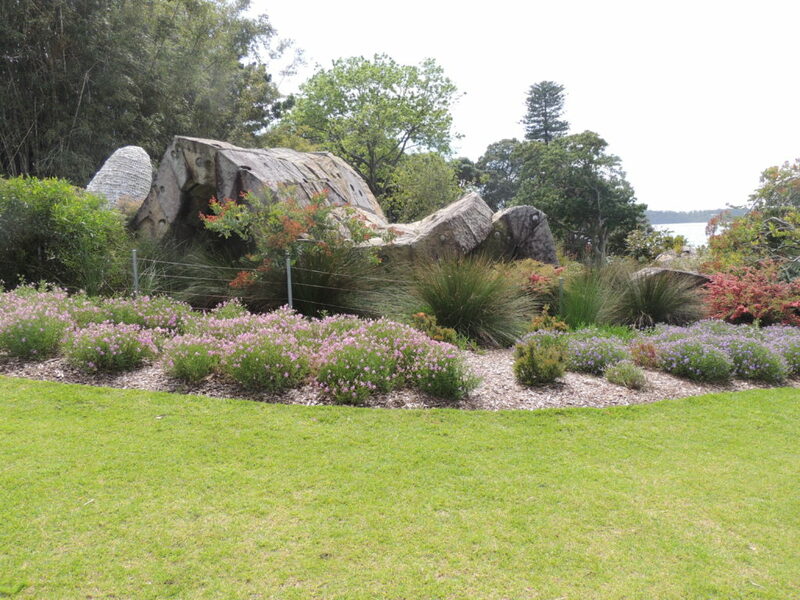 The Wurrungwuri sculpture is magnificent, love the plants around it. Love the variety of plants you showcased in the post. Thank you for your comment Tina, I’m glad you enjoyed the tour. I missed The Calyx. It was such a hot day when we were there I didn’t think I could bear it, but then I didn’t know about the mist spraying! It was pretty hot the day we went, Jessica, and certainly very humid inside the Calyx, so I don’t think there would have been any relief in there. I was actually quite pleased to be back outside in the fresh air. What a gorgeous array. 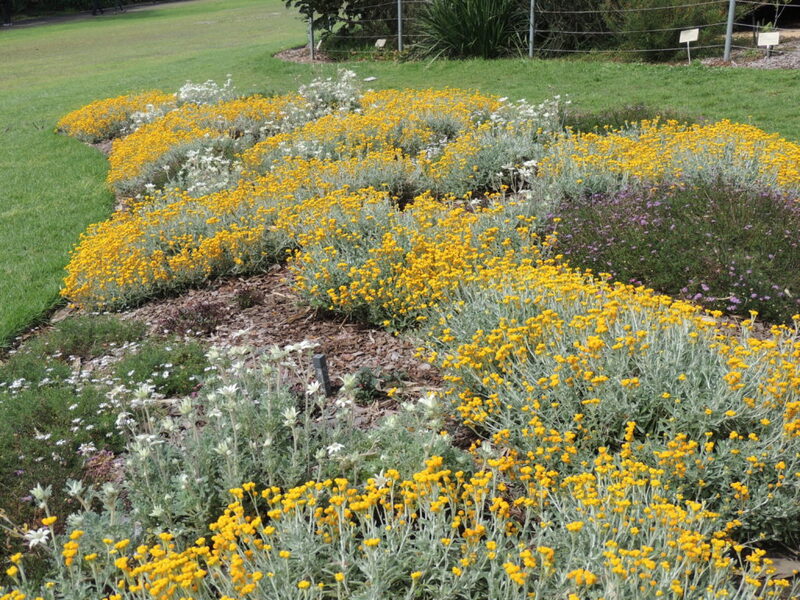 I’m particularly impressed with the insect eating plants bed which we don’t have in Melbourne. 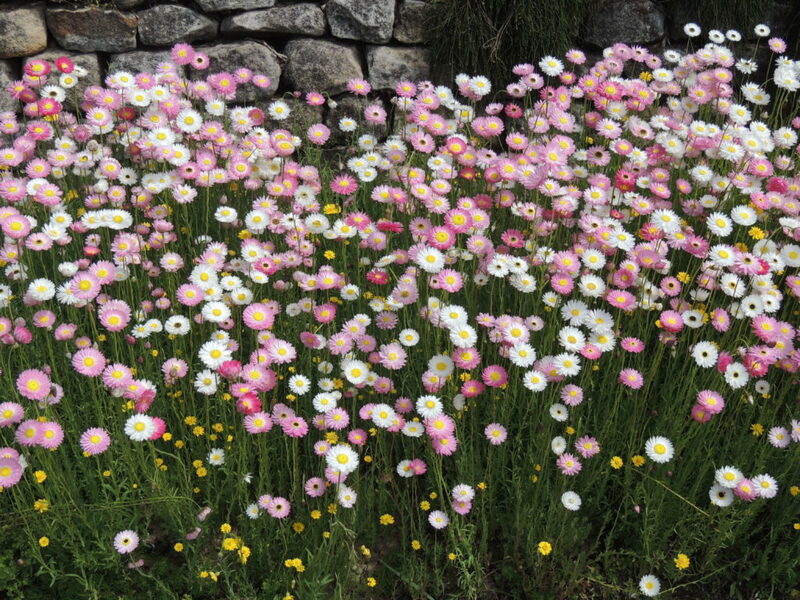 And who cannot love a wildflower meadow. 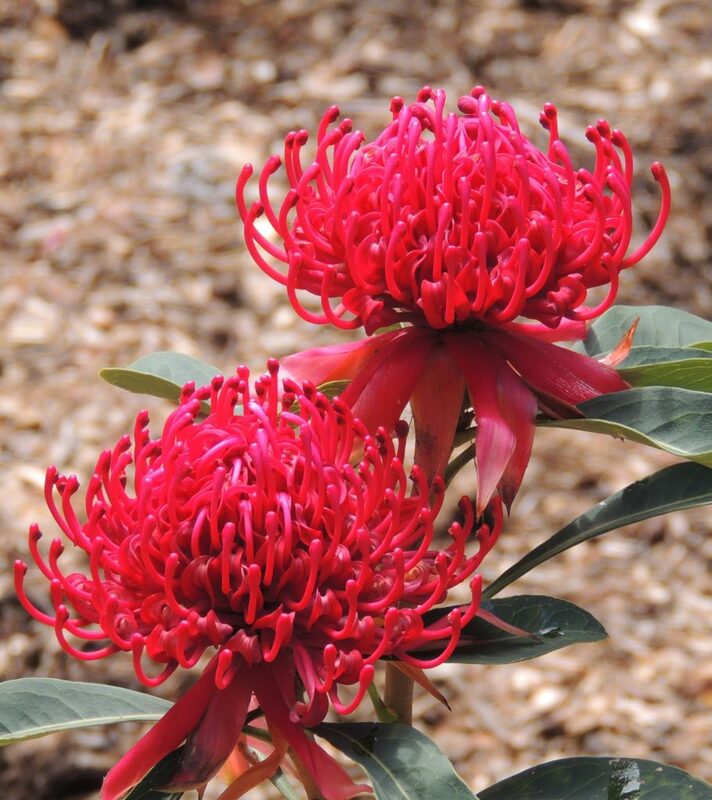 That Waratah is one of the prettiest colours I’ve seen. 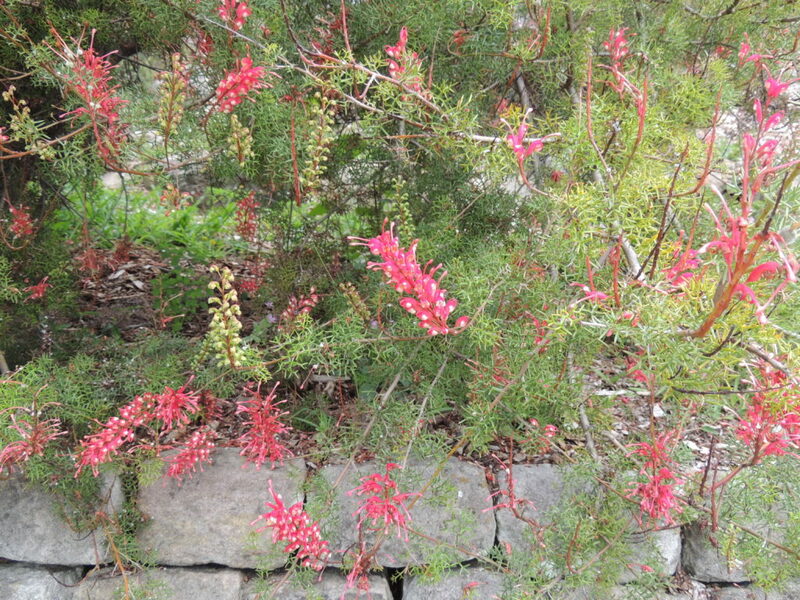 Most of the varieties down here don’t have that richness of red/pink. I’m guessing this is you, Vicki, as you’ve mentioned Melbourne. You came through as anonymous, I’ve no idea why, but perhaps it was something to do with how I changed the comment section which doesn’t seem to have worked anyway. 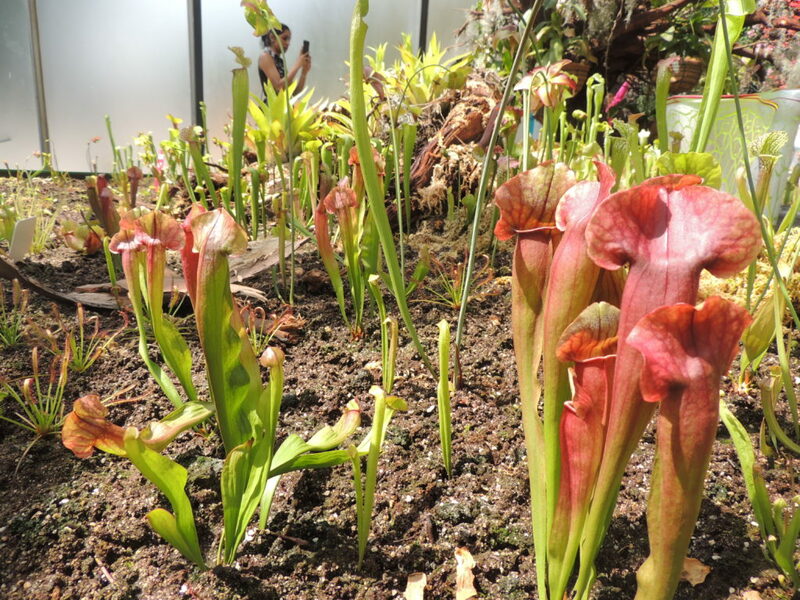 The insect eating plant exhibit was fascinating and there was a great variety of them to admire. What a wonderful post! Thanks for sharing your adventure. That immense wall is nothing short of stunning! Wow! And that little Flannel flower is super special. 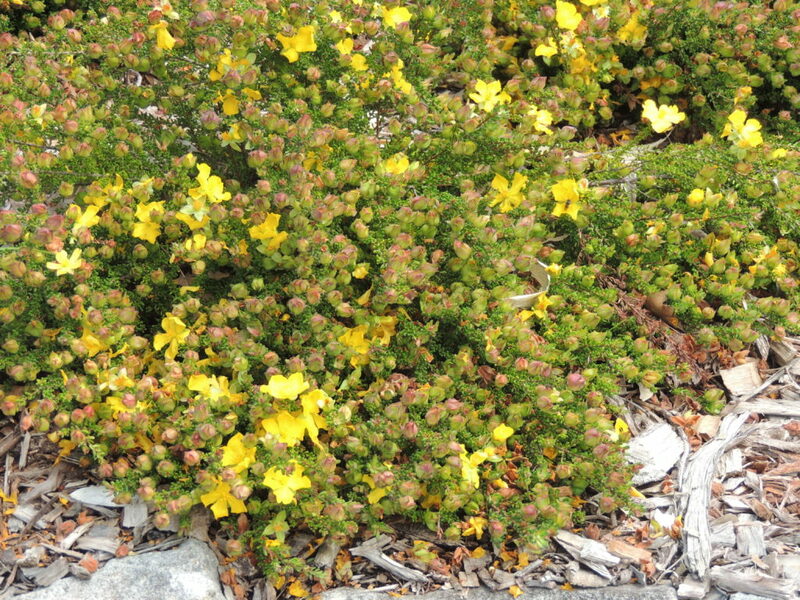 Wonder if it would survive in the PNW…? Flannel flowers wouldn’t care for wet conditions, or serious cold, so although I’m not sure about your climate, I suspect they wouldn’t be happy where you are, Anna. I’m glad you enjoyed the tour. Thank you, Makiko. 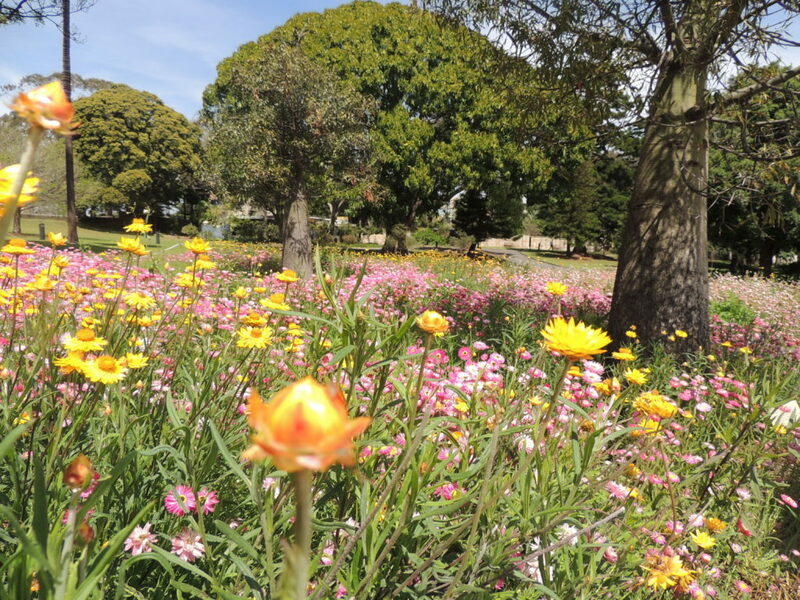 Yes, you should make another visit to the gardens. You’d be able to take some great photos. Still got to enter my name and email!! 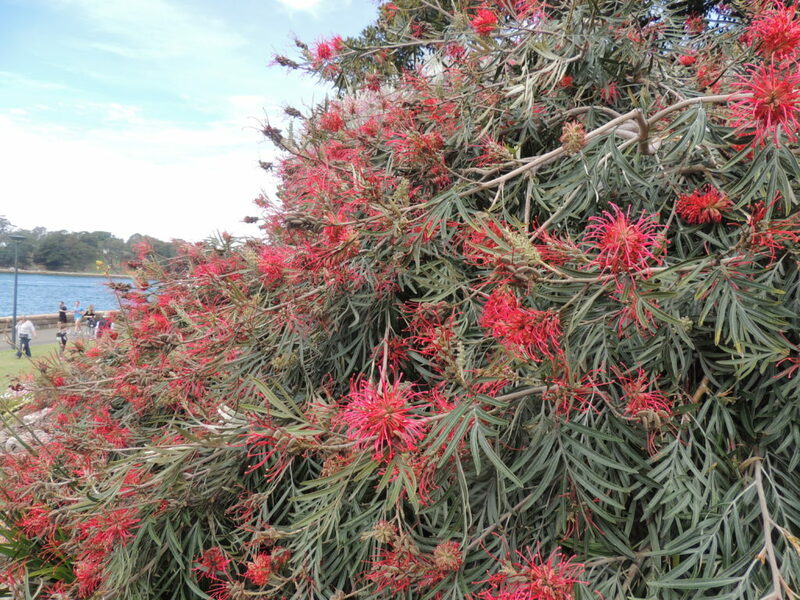 This is a great botanical garden and I have loved wandering around it again with you (https://smallbluegreenflowers.wordpress.com/tag/sydney/) I last visited in 2014 in December although on a rather dull day. I assume The Calyx wall is more recent? 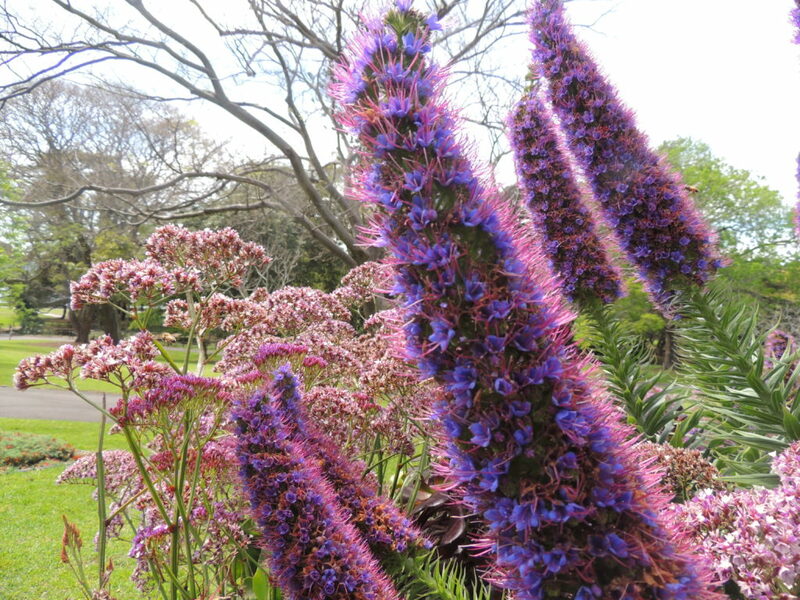 Echiums grow well here in Cornwall in sheltered spots, often the much taller single spike of ECHIUM pininana. They definitely are bee magnets. I enjoyed reading your posts about the gardens, Jude. I think the Calyx is quite a recent addition. I would love to grow some Echiums, but it’s far too frosty for them here. I think they’re a most amazing colour and shape. The name and email thing is so annoying. Most bloggers don’t seem to have it and I wondered if it’s because the theme I chose is quite an old one. Perhaps I should change. I’m grateful that people still comment even though they have to go through that rigmarole. Great photos Jane, I didn’t see any of that part of the Gardens when I visited a month ago- I’ll definitely have to get back down there soon. It’s always interesting to visit and see what changes there have been. How glorious! 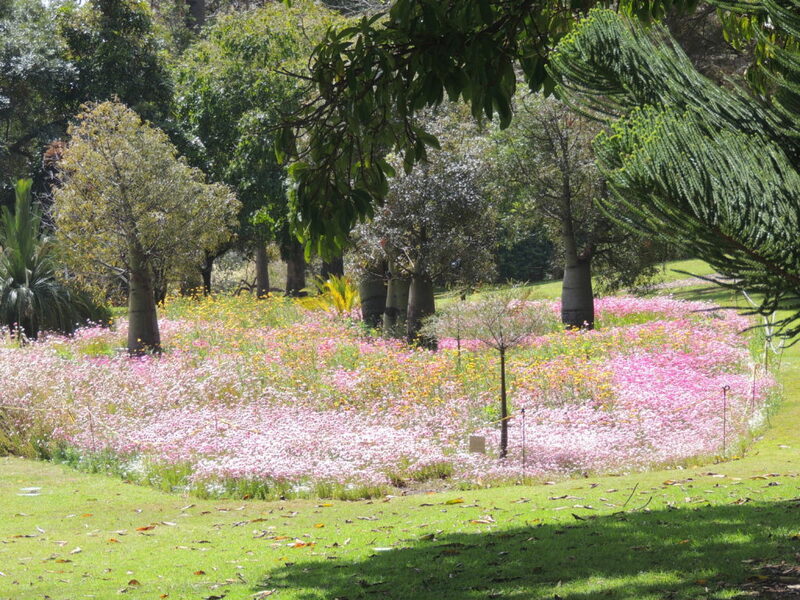 Our daughter is soon moving back to Sydney, so when I next visit her I will make time to go to the gardens. 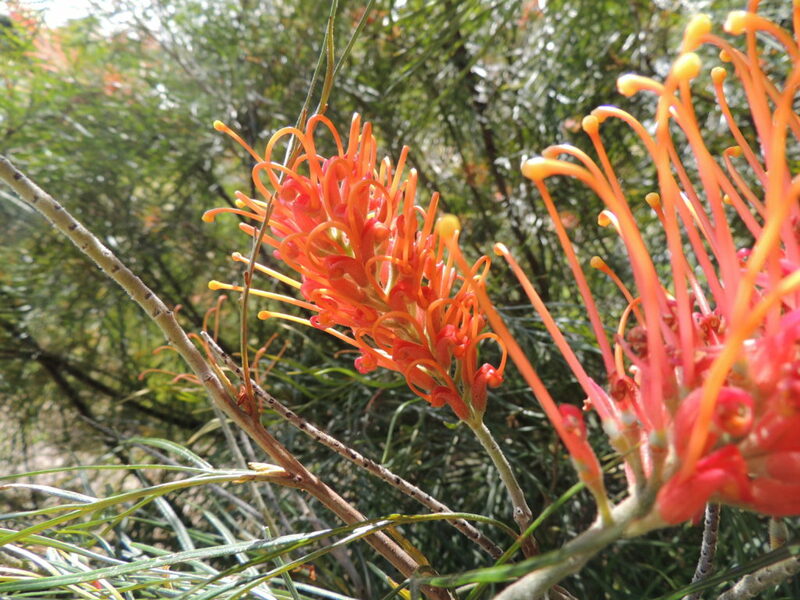 It was just such an enjoyable visit, Gill, perfect timing for the native flowers.